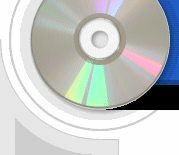 CDCheck is a utility for the prevention, detection and recovery of damaged files on CD-ROMs with an emphasis on error detection. With CDCheck you can check your CDs and discover which files are corrupted. By using the program proactively, you can insure that your data on CD-ROMs are safe -- before it's too late! CDCheck provides the following features: readability verification, binary compare, CRC file creation (and verification) and file recovery. For more information see Info. CDCheck is known for its stability, ease of use and good support. To download the latest version, go to the download area. CDCheck ONLINE! repository registration > Please go to Support section!.